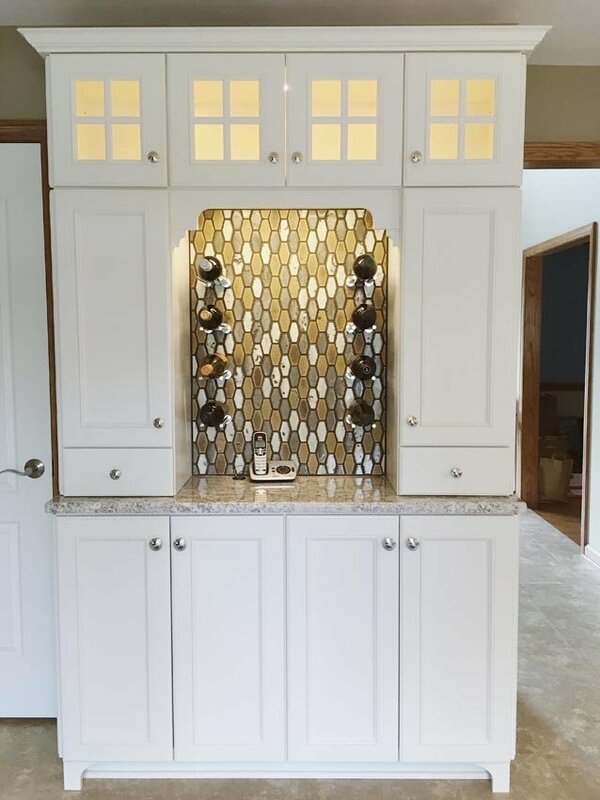 The trend in kitchen design is to create a space for wine storage within the new cabinetry or wall space. The possibilities are endless, but the required space can depend on several factors. 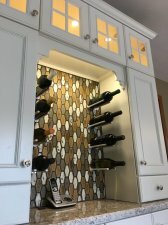 How many bottles do you want to store? 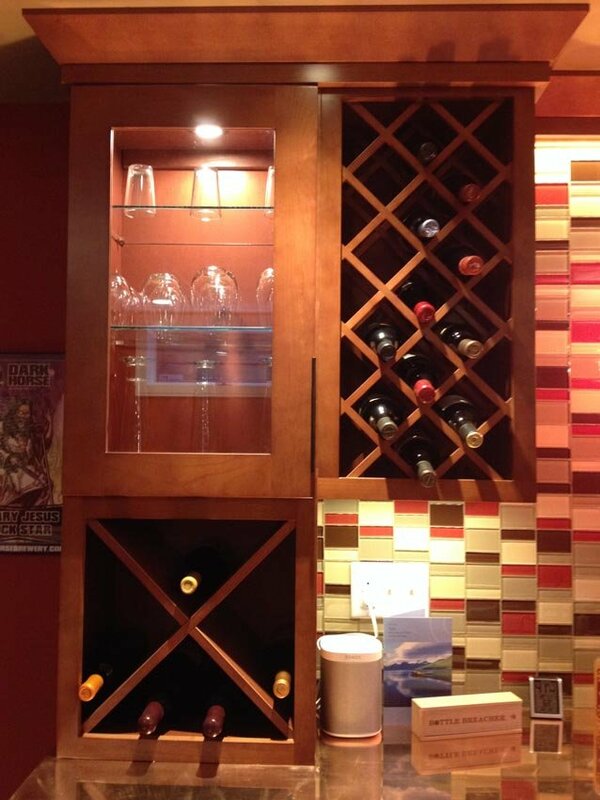 Do you want to display your collection or keep it concealed? Does your wine need chilled? 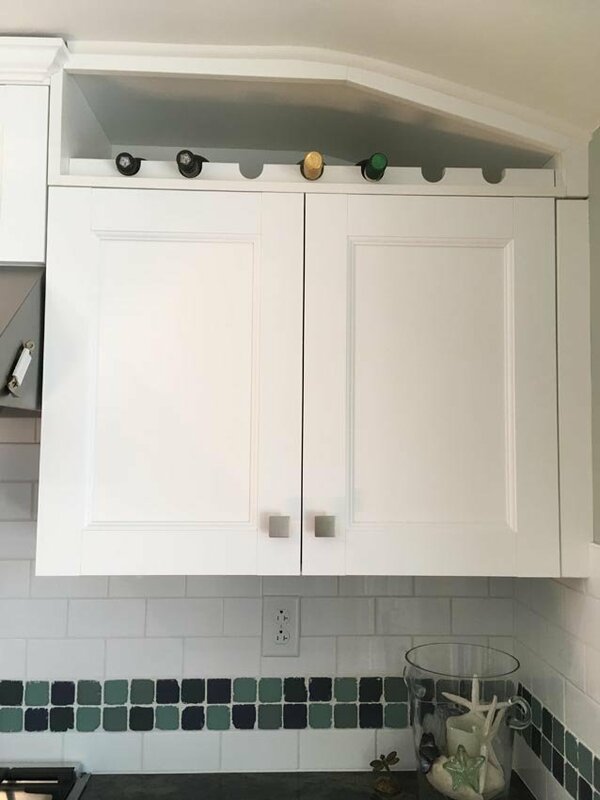 Depending on how your kitchen is designed, you may end up some awkward unused space that you can dominate. Just 6" of space next to your refrigerator can create an attractive feature. 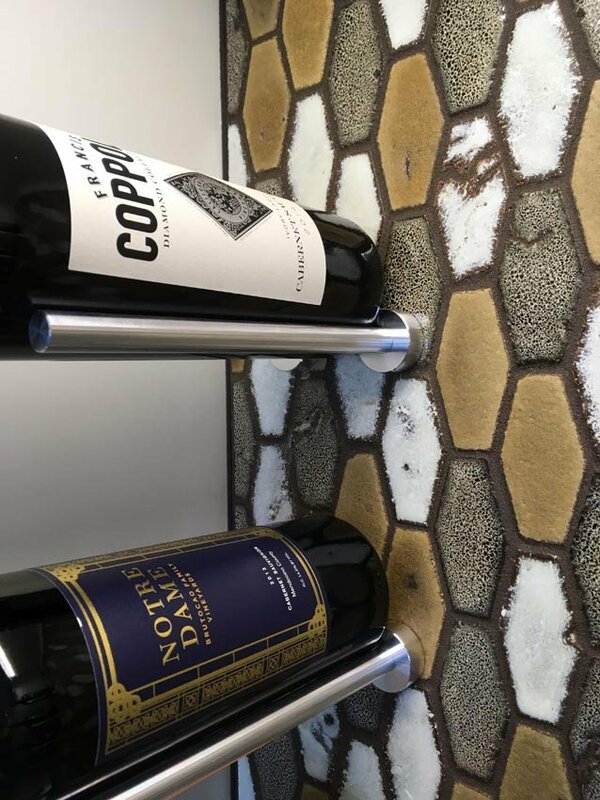 You can tuck bottles in a custom-crafted rack above a cabinet or refrigerator, or create an artistic expression on a blank wall. 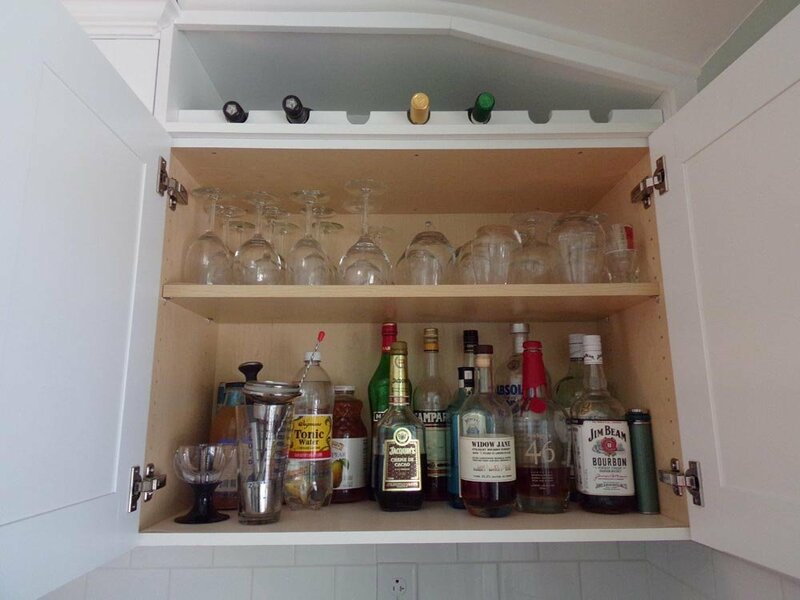 If you choose to hide your collection, special roll out trays can be installed in any cabinet. There are also many options for coolers if your wine needs to be chilled, but be cautioned that all wine coolers are not created equal. 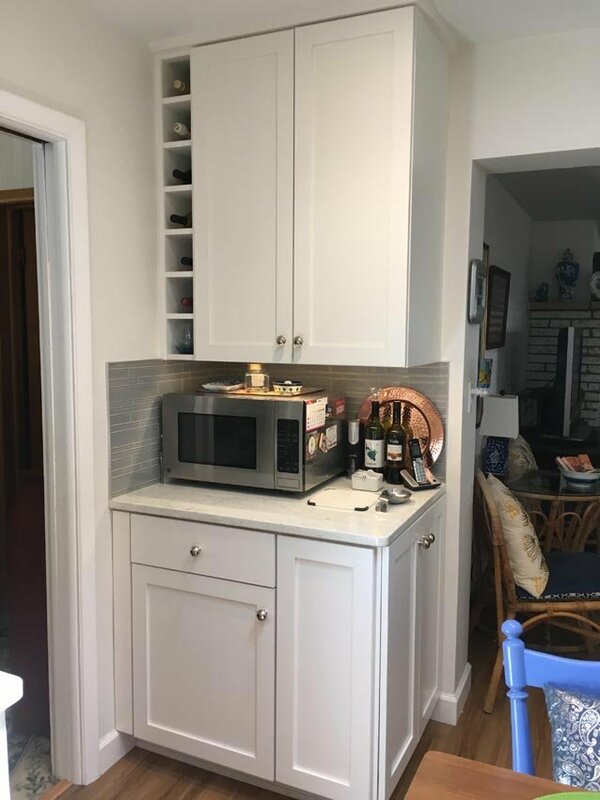 Some of them are not meant to be built-in around cabinetry unless they are properly ventilated, so be sure that you and your contractor know all of the specifications. 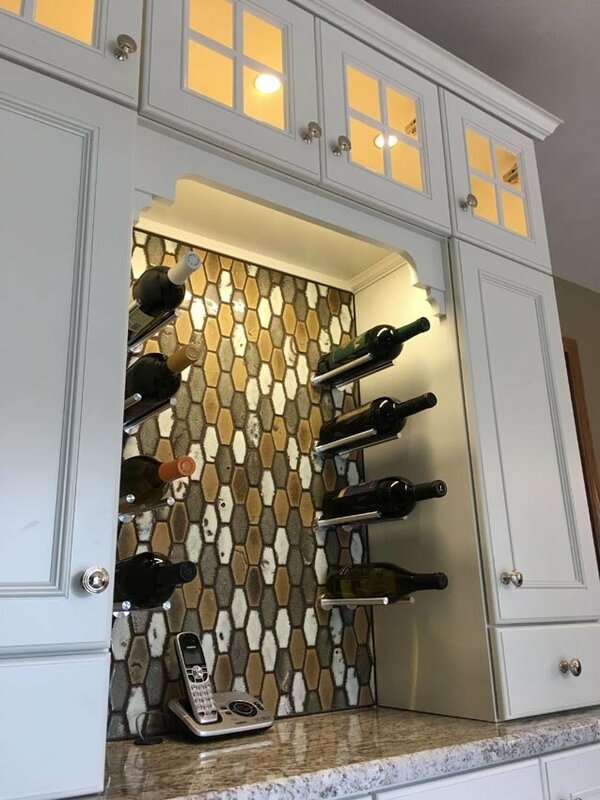 If you have wine storage needs, add to your features wish list during the initial planning stages of the remodeling project.